Our Arts Magazine has published and interview of me with a nice selection of images showing the wide cross-section of my art. The interview was conducted mid-July 2018 and release on July 27, 2018. For the holiday season I set up a temporary Holiday Shop, just a small online boutique. 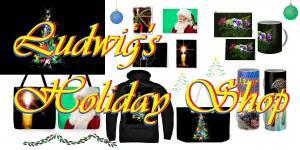 The site shows some of my art appropriate for the holiday season with special emphasis on merchandise. Greeting cards, coffee mugs, totes, spiral notebooks, and other small gift items are ideal gifts for friends and relatives. With unique art such items allow a personal touch. In addition to this special website, I have also moved my holiday-appropriate art to the top for visitors to see right away when getting to my Pixels site. 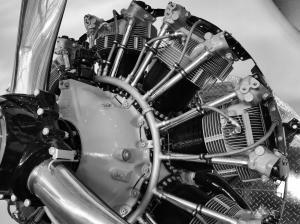 "Aircraft Engine" a photograph by Ludwig Keck, tells the story of technology of flight in an eloquent black-and-white image. The engine was photographed at the Delta Flight Museum, Atlanta,Georgia, on a visit to the museum. See the linked story about the visit. This photo is stunning as a metal print. It is available in sizes from 10 by 7.5 inch to 30 x 22.5 inch. There is a story behind every piece of art. 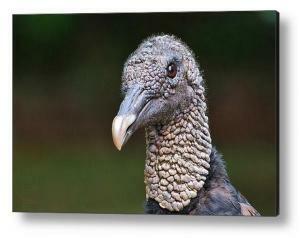 For my "Black Vulture" my Cafe Ludwig blog tells an amusing, albeit imaginary, tale of how the photograph came to be. Click the link here to see the story. Seventy-one juried print images by thirty-three Georgia nature photographers are being presented at the Rectory in Norcross, Georgia, August 15, 2014 to September 6, 2014. 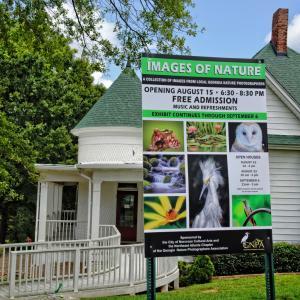 The show is sponsored by the City of Norcross Cultural Arts and the Northeast Atlanta Chapter of the Georgia Nature Photographers Association. 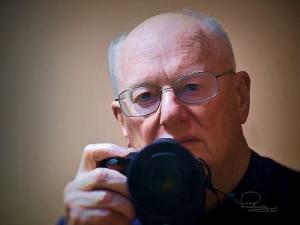 I am proud to announce that two of my images were selected for this show. More details on my website.